There were 300,000 fewer ISA account subscriptions in 2017/18 versus the previous year, according to Government figures. The introduction of the personal savings allowance, which gives a £1,000 tax break to basic-rate taxpayers on savings income and a £500 tax break for higher-rate payers, is largely thought to be the cause behind fewer people using ISAs. But at the same time over the past few years there has been a massive increase in the amount you can put into an ISA each year. This means that the ‘use-it-or-lose-it’ pressure has diminished, as not many people can afford to max out their £20,000 annual limit. Read our article about this here. Despite this backdrop, ISAs still offer considerable benefits to savers and investors. We’ve looked at five groups of people who should definitely use an ISA for their savings to avoid being hit with a tax charge in the future or missing out on free Government cash. If you move from the basic-rate tax band to the higher-rate your personal savings allowance will be cut by £500, meaning only your first £500 of savings income will be tax free. If you move from the higher rate to the additional rate you will lose the allowance entirely, meaning all your non-ISA savings interest will be taxed at 45%. For example, if you move from the basic to higher-rate tax band you’ll face a £200 tax bill on that £500 of savings interest. If you’re close to these tax band limits and think you might get a pay rise that tips you over in the next tax year it could be a good idea to move some of your money into an ISA. Investors have been hit in recent years by successive changes to the dividend tax allowance, first increasing the tax rate and then slashing the tax-free dividend allowance. Read more here. For the current tax year you can earn just £2,000 in dividends before you start to pay tax, at 7.5% for basic-rate taxpayers, 32.5% for higher-rate taxpayers or 38.1% for additional-rate taxpayers. The £2,000 limit means that someone with a £50,000 pot earning a 4% yield will hit the limit. If you moved this money into an ISA then it will be free of income tax. It’s also important for people who plan to take an income from their ISA savings in future years. Any withdrawals from ISAs are free of tax, meaning you can draw an entirely tax-free income off the investment pot. So someone with £200,000 in an ISA and earning a 4% yield can take an £8,000 income tax free each year, while someone with a £600,000 ISA will be able to take £24,000 income tax free – at this level you’ll save £2,430 each year in tax. If you take this same income over 20 years, for example, that’s a total of £48,600 saved in income tax. The larger your non-ISA savings the longer it will take to move it into an ISA. You have a £20,000 allowance each year, so if your pot is larger than this it could take a long time to move it into the tax-efficient ISA. Savers with large non-ISA funds are at the mercy of future Governments changing the tax rules on savings, scrapping the personal savings allowance or even reducing the annual amount you can save into an ISA. People were caught out by this before with the cut to the dividend tax allowance and many were hit with a large tax bill. If it will take several years’ worth of allowances to move you money into an ISA, think about starting before the end of this tax year. Someone who has held investments outside an ISA for a long time or has seen their investments perform well may have large capital gains on their investments. Any investments outside of an ISA face 10% or 20% tax on any gains above their tax-free allowance. You can make use of your capital gains tax allowance each year to bank some gains and move them inside an ISA. So-called ‘Bed and ISA’ means you can sell assets with gains of up to £11,700 (rising to £12,000 from 6 April) and then buy them back within an ISA, without facing any tax. Your future gains will then be protected from capital gains tax too. You can do a similar move but transfer the asset to your spouse instead, who can then put it in their ISA. 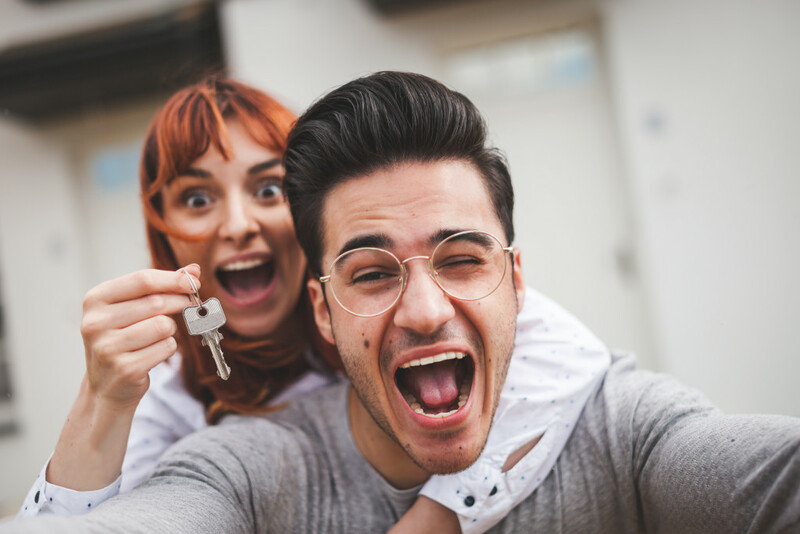 If you’re planning to buy your first property in the future then you should use an ISA to get free Government money to help boost your savings pot. With a Lifetime ISA or Help to Buy ISA you get a 25% Government bonus on the money you pay into the accounts, which will then go towards your first home – a rate of return that’s hard to beat. Each ISA has pros and cons, you can read more about them here. The Lifetime ISA has a higher annual limit of £4,000, and so a higher Government bonus of £1,000 each year, but only works if you have at least 12 months until you plan to buy a house. If you plan to buy in the next 12 months you’ll need to use the Help to Buy ISA, into which you can pay £200 a month, as well as £1,200 in your first month – getting your 25% Government bonus on top.